From geocentrism to 'Neptune-centrism' -a tribute to Nicolas Copernic- [Du géocentrisme au 'Neptune-centrisme' -un hommage à Nicolas Copernic-]. 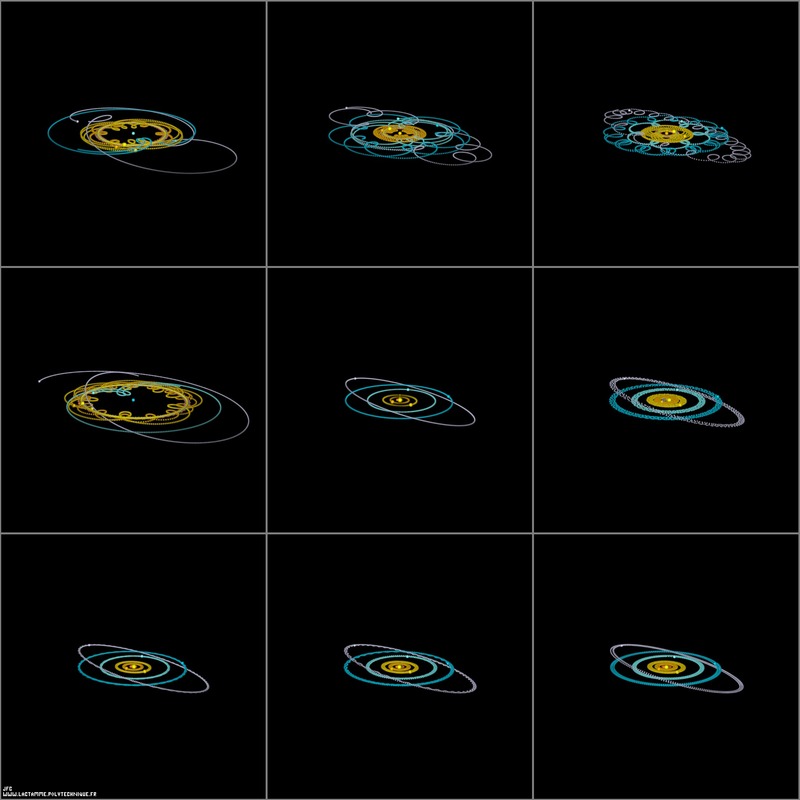 The Sun -helio-centric point of view- is at the center of this 3x3 array that exhibits the point of view of the 8 first planets. Then starting with Mercury (lower left) and going anti-clockwise one can find: Venus, the Earth, Mars, Jupiter, Saturn, Uranus, Neptune.